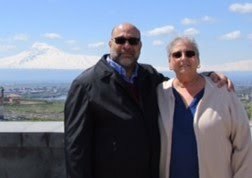 In our recent quest for more wholesome – and locally produced - ingredients, Doug and I were excited to discover a hidden gem less than 15 minutes from our home. 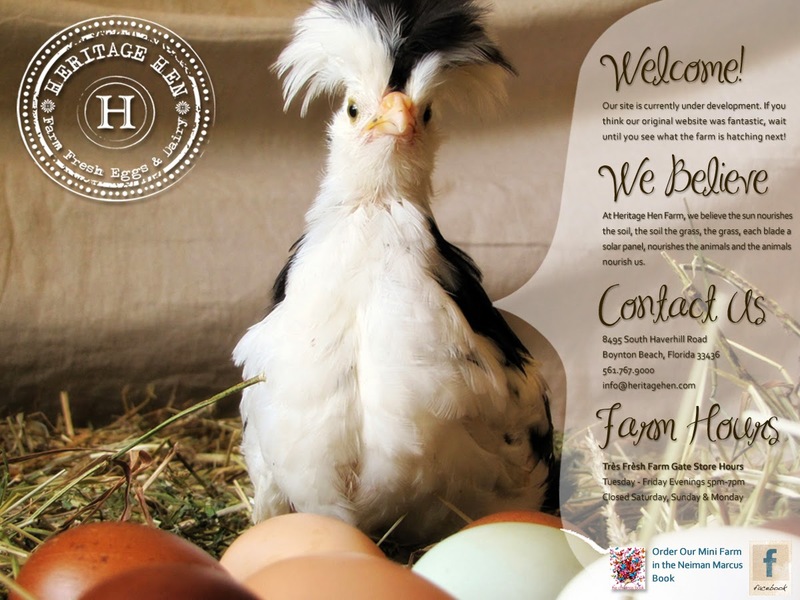 Heritage Hen Farm sits on 15 acres, surrounded by businesses and housing developments. Driving down the street, you’d never realize it existed, except for the line of customers parked on the side of the road, waiting patiently for their turn to shop. Apparently, this place has been around for a while and has quite a following. The ‘store’ hours are limited, and the few items they sell are sold on a first-come, first-served basis. As we found out, new customers have a limit on how many eggs they may purchase on their first visit. We were fortunate to have secured 6 beautiful eggs. By the way, the eggs are not dyed. What you see are the natural colors of the eggs, straight from the hens. Pretty, aren't they? Regular customers knew to bring a shopping bag and recycled jars and egg cartons from their previous purchases. Heritage Hen Farm is serious about recycling; we paid a $5.00 jar deposit with our purchase of 20 oz. of raw yogurt! When was the last time you paid a deposit for a bottle or jar of anything? We give Heritage Hen Farm a TON of credit for their hard work and dedication in preserving the original method of farming, especially in the heart of Boynton Beach, Florida. Why not check out what your neighborhood has to offer? You might be surprised by what you find! I'd gladly pay a $10 deposit for a jar of real yogurt. I have not had good quality yogurt since I came back from Armenia.